It's the Holiday Season okay, not quite, but Christmas will be here before you know it! 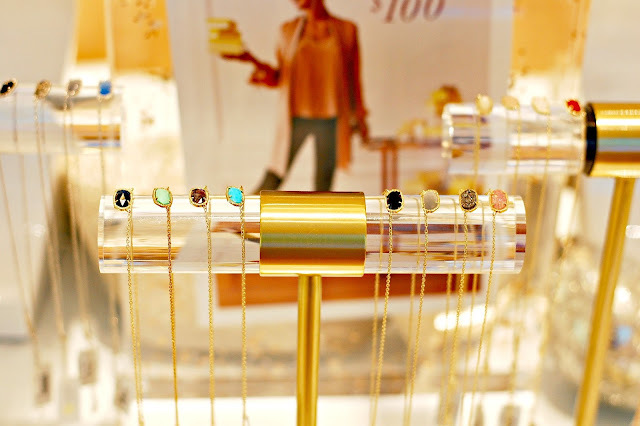 Kendra Scott makes holiday shopping easy because they have the perfect gift for every woman in your life. From your grandma, mom, mother-in-law, sister, or bestie, they have you covered. 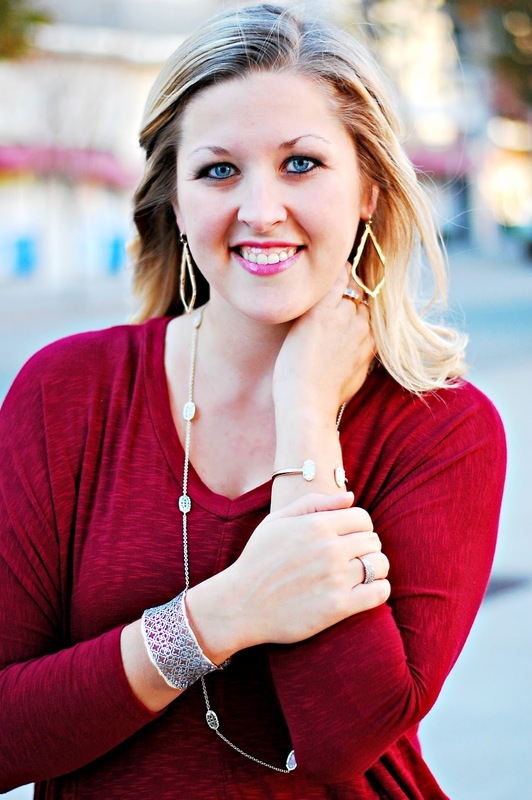 I'm partial to all of Kendra Scott's Drusy pieces. The sparkle is just enough and an obvious choice for my gal pals. These Lee earrings in iridescent dusy or this Elisa neckace in Rose Gold Drusy would be perfect. If your mom is anything like mine, she loves to make a statement with her jewelry. 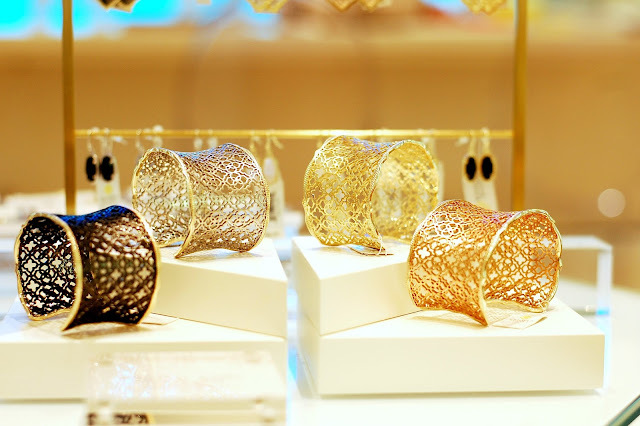 Naturally, I have this Candice cuff bracelet picked out. 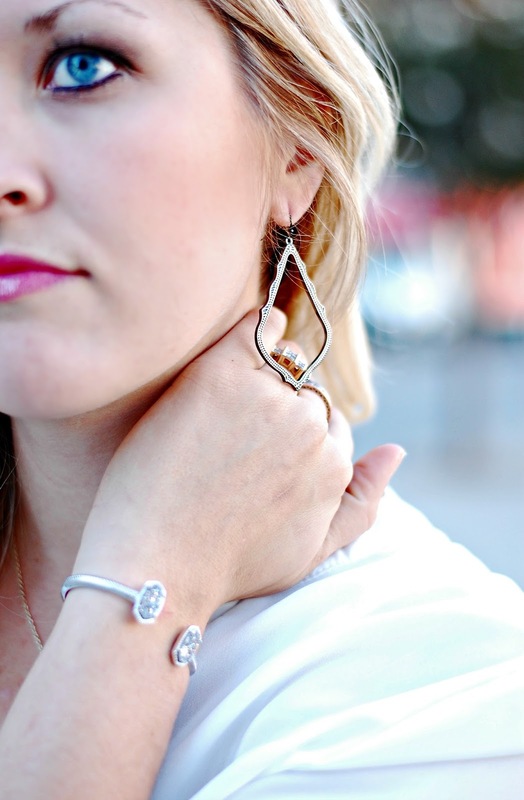 I love that it comes in multiple metals so if she's partial to silver, gold, or rose gold, you're set! 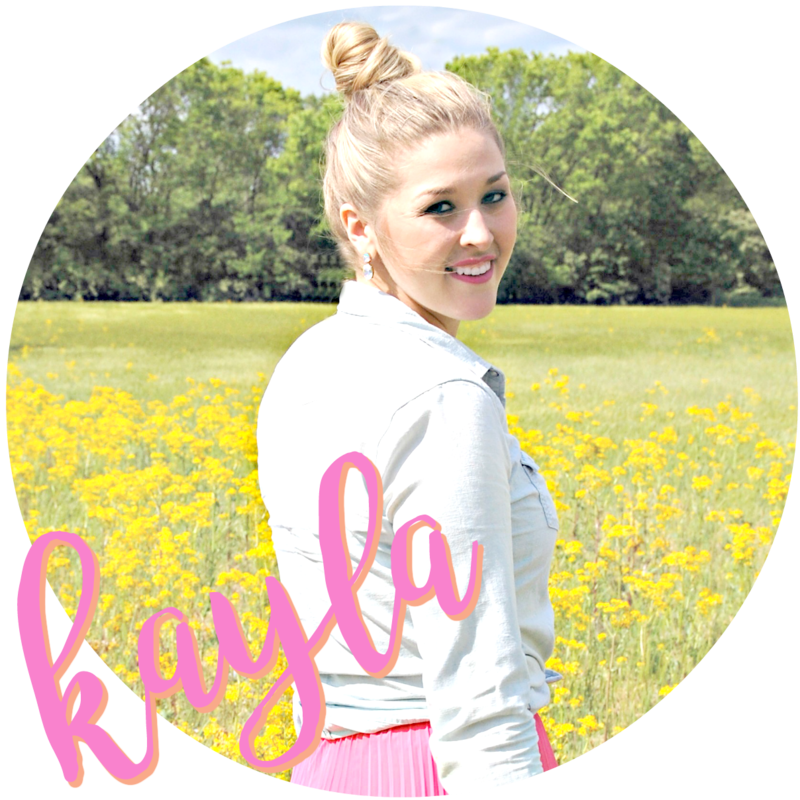 Another option for Mom is the classic Rayne necklace. This necklace would be great for almost anyone, but my mom has been eyeballing mine for a while. I'm showing off both options for Mom below. One of my co-workers was just saying the other day that she dreads buying her MIL presents because she often tries too hard to find "the perfect gift" and never finds anything perfect enough. 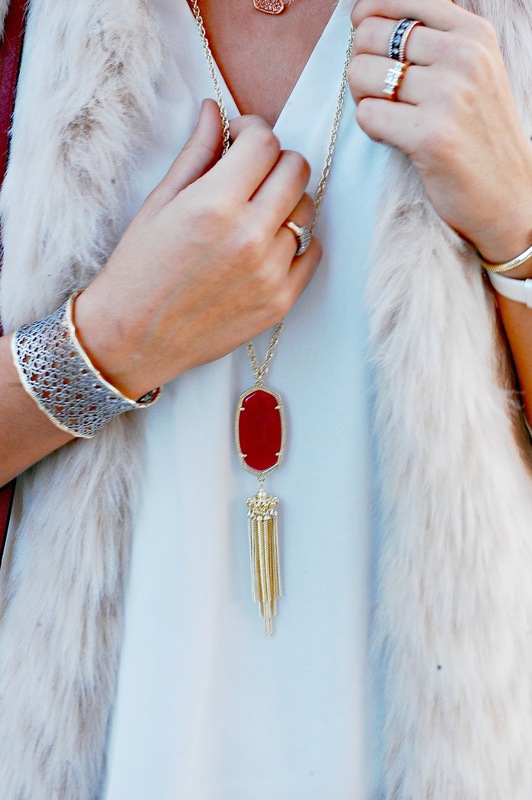 By going the Kendra Scott route, you're bound to find that perfect gift. 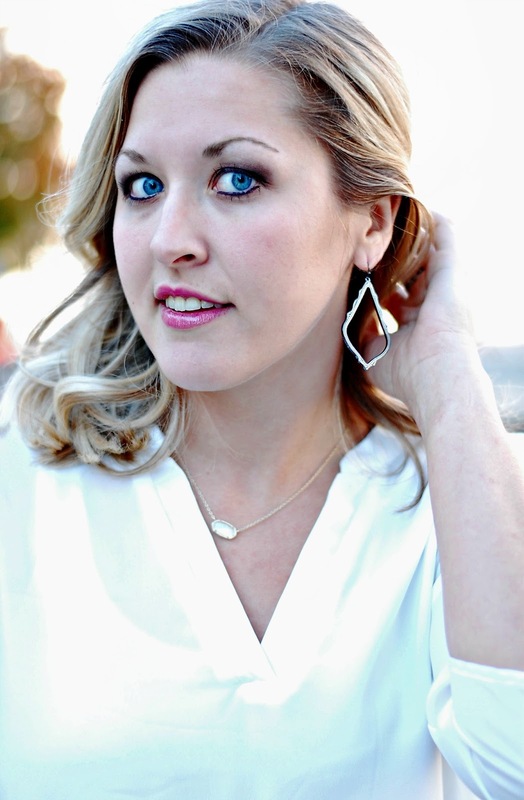 I think these Sophee earrings are great! That also come in multiple metals, perfect if she usally wears a lot of one more than the others. I also think the Elisa necklace great too! It's classic and comes in every color under the sun. 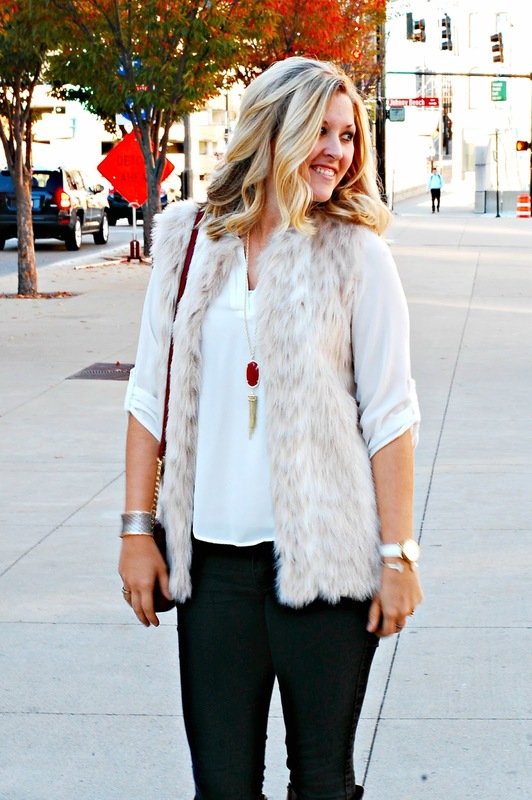 I'm wearing the gunmetal earrings below and the neckalce in ivory mother of pearl. Gandma, aka, you're #1 fan. My grandma, we call her "Gramas", is crazy. The endeering type of crazy and I absolutely love her to death. But she is crazy picky and hard to buy for! Gifts you thought were great, you'll never see her wear/use/etc. But I have finally found one I know for a fact she'll get wear out of! This Kellie necklace in rose quartz. I see her wear more longer necklaces than anything. Plus this popular rose quartz stone can almost serve as a neutral. If rose quartz isn't for your grandma, as with most of their jewelry, you can choose basically every other stone/color in the world. 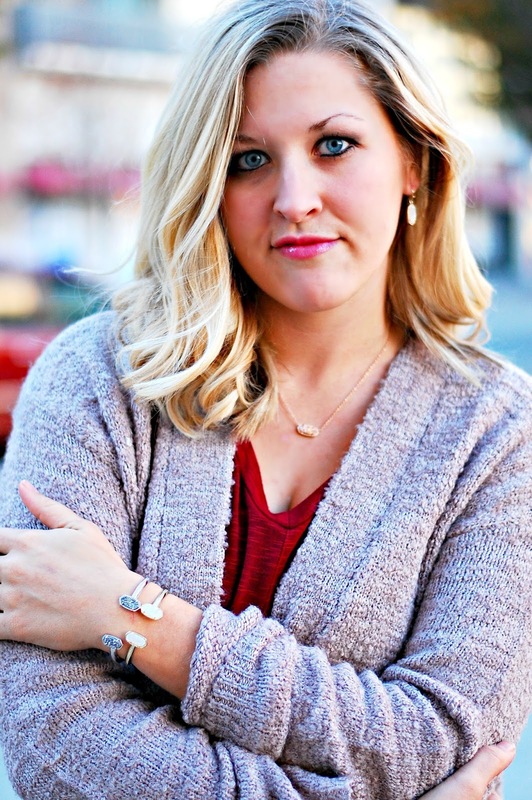 I forgot to brag on the earrings above, the Addie earrings in silver. 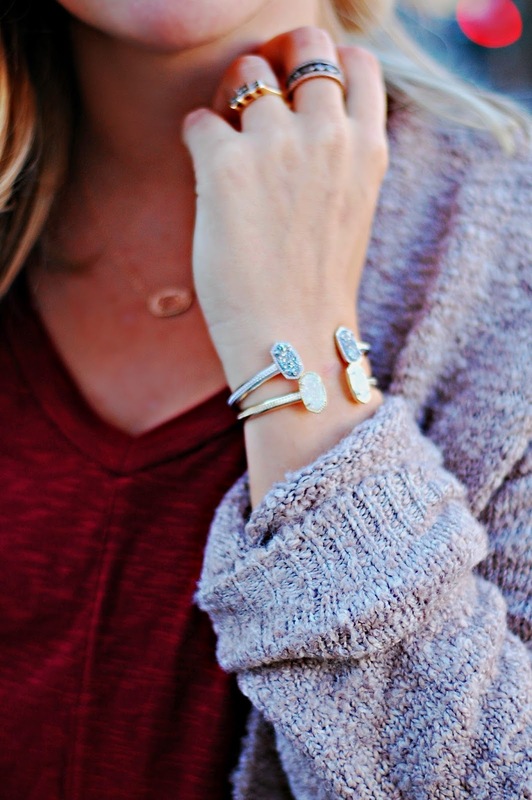 They have the gold outline and are the perfect match to the Candice cuff! 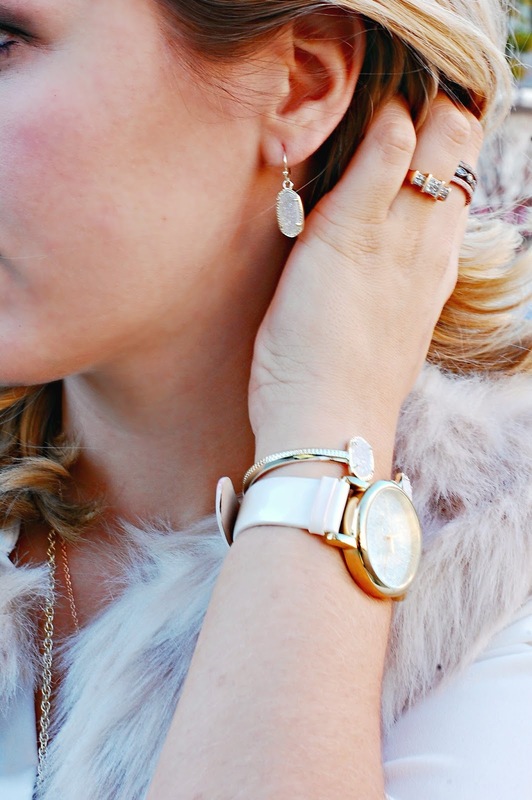 Here are the Sophee earrings in gold, the Candice cuff in silver/gold, the Kellie necklace in rose quartz. Your sister is kinda like your bestie. Drusy stones would be perfect for her. Since you'd generally spend a little more on your sister than your friends (or maybe not! ), th Elton cuff bracelet is great! I'm wearing the silver and gold with drusy stones. The Elisa necklace of course, is another great choice! See what I mean by tons of options. These don't even include them all! Now the perfect gift for you! 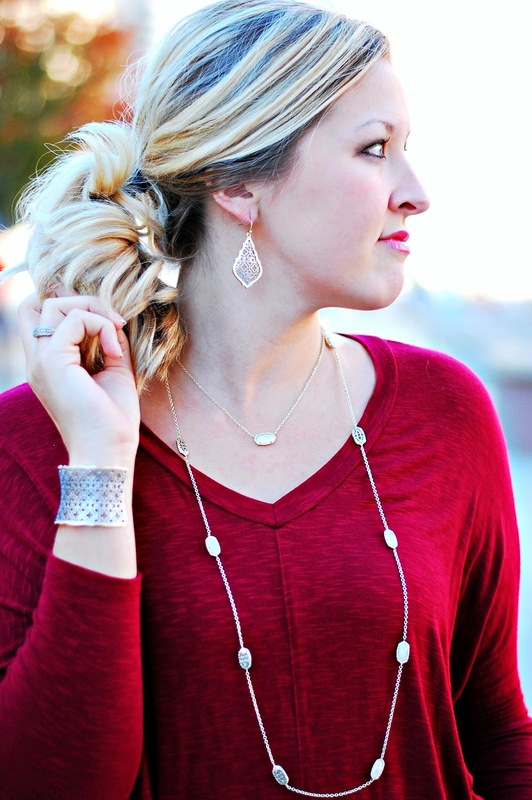 Enter to win a Kendra Scott Rayne Necklace in Ivory Mother of Pearl!